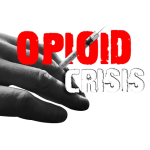 RICHMOND, Va. (AP) – Virginia will receive nearly $10 million in federal grant money to help combat the opioid crisis. The U.S. Department of Health and Human Services announced Thursday its second year of funding through the Opioid State Targeted Response program. Virginia is getting $9.76 million. A press release says recipients used the first year’s funding to implement medication-assisted treatment, promote prevention strategies as well as the use of the antidote naloxone, and build sustainable recovery support services. Opioid abuse is causing deep problems across the country. It is being blamed for shortened life expectancies, growing burdens on foster care systems, and strains on police and fire departments. Virginia’s health commissioner declared the state’s growing opioid addiction problem a public health emergency in November 2016.